Wordless Wednesday: Homemade Pizza... YUM! : It is wordless. Checkout this blog for some fun pictures of homemade pizza in the works. Attention Military Spouses, Brats, Parents ... We want to meet you! I'd LOVE to do a weekly or monthly segment all about you ... the one who stands behind our soldiers, sailors, airmen, marines & coast guard. The 'forgotten-heroes' at home. The loved-ones who traded in a piece of their heart for his (or her!) dog-tags. "The Faces Behind Our Heroes"
Would you be interested in responding to a short email with interview-type questions? Fill it out, send it back my way and then I will feature you on "Our Letters to You"; if you are a blogger I'll be sure to include a link to your blog for the extra touch of publicity! I'll pick a new interview-ee each week to feature, and I'll be sure to let you know when you have been featured! If you are interested leave a comment here on the blog, on Facebook, reply on Twitter or send me an email! leanne@militaryavenue.com. The Department of Defense (DoD) Military Spouse Career Advancement Accounts (MyCAA) program provides a lifetime benefit of up to $6,000 of Financial Assistance (FA) for military spouses who are pursuing licenses, certificates, credentials or degree programs leading to employment in Portable Career Fields. Spouses of DoD Active Duty members and activated members of the National Guard and Reserve Components who are on Title 10 orders are eligible to receive MyCAA Financial Assistance (FA). Military spouses who are legally separated under court order or statute are ineligible. Spouses who are Active Duty or activated Guard or Reserve members themselves are ineligible. Coast Guard spouses are ineligible. MyCAA FA pays tuition for education and training courses, and professional licenses, certifications, and credentials. This includes state certifications for teachers, medical professionals and other occupations requiring recognized certifications; licensing exams and related prep courses; Continuing Education Unit (CEU) classes including those offered through professional associations; and degree programs leading to employment in Portable Career Fields. MyCAA also pays for High School Completion courses, GED tests and English as a Second Language (ESL) classes. Effective immediately, the MyCAA program is temporarily halting operations. We are reviewing all procedures, financial assistance documents and the overall program. This pause will not affect approved Financial Assistance documents. We apologize for any inconvenience this may cause. Please check back for updates. What can you do about this? Contact your state representatives, your congressman, local TV and Radio stations; let your current universities know of your new hardship, and spread the word about this ending! Please comment on this blog with ideas and suggestions or stories of how the MyCAA has assisted you. We will bring your stories with us as we look for answers and fight the good-fight. I have a barrel of emotions running through me this morning. Distrust. Anger. Frustration. Not pretty emotions. And it is all for our military-spouses directed - AT - our administration. They pulled paused MyCAA (Military Spouse Career Advancement). Not good. Not good at all. The program gave $6,000 in tuition money to help the military-spouse with a portable career. A portable career is A NECESSITY for a military wife or husband moving every two to three years; a military wife or husband running a household for a year-long deployment as a single-parent of sorts; a military wife or husband who wants to contribute to the bottom-end of the family finances, to be a contributing member, to feel empowered. They say it is to review the program. I hope that is the case. I hope they will reestablish the program ASAP. Although, my gut tells me otherwise. Once it is reestablished how is it going to have changed? You have to plan your education. If we aren’t sure a program is going to be available how can we plan for the Summer-session, or the Fall- semester? For those who had turned in their paper-work, and while waiting for approval had signed up for spring classes where is the money going to come from now? We are trying our hardest to plan around deployments, PCSs, children’s schedules. This is just another drop in the bucket of planning that leaves a sour taste in our mouth. I hate to point out their math error; an error my 1st grade son could surely point out them. Taking away is not adding. Thank you to Military OneSource for not leaving us completely high-and-dry in the information department… here are some Alternative Educational Funding Opportunities. Yes, there are other options; scholarships, the GI Bill, education loans. And, yes, we are flexible. I think most military-spouses are made of rubber; you can bend us, twist us, and we will not break. Most times we bounce right back into place. 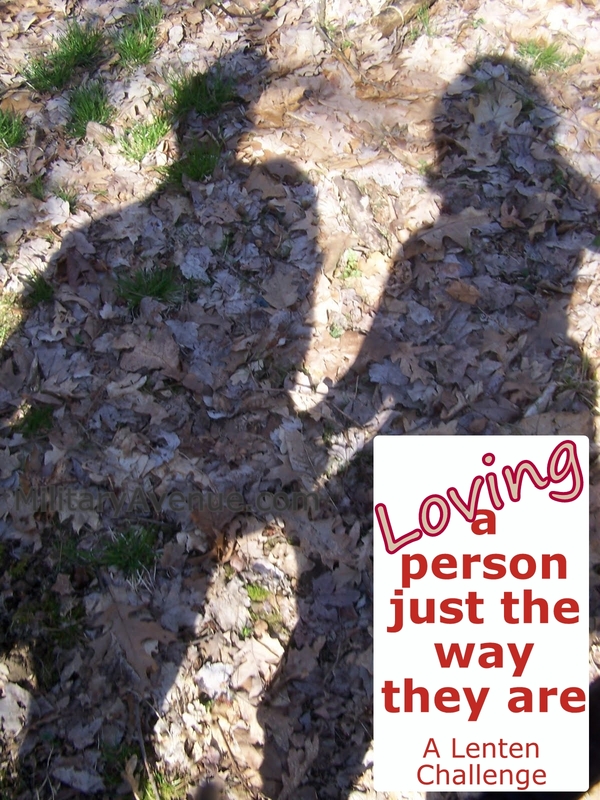 But it doesn’t mean it leaves us feeling very good; and it certainly doesn't leave us feeling supported as we feel the rug being pulled out from under us (even if they say they will put the rug back where they found it). Questions? Stop in the Education Avenue: Post an Education related question for other military-families and experts to help you with! Become an Expert, yourself, today! An 'Expert', me?! Most certainly! Fresh from the oven, a dish of broccoli, carrots and Angle Hair Pasta... Nice! There are times when pasta just sounds right. 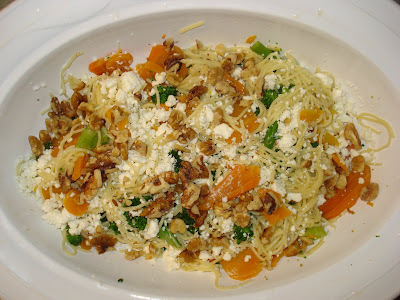 My mind really likes the idea of that comfort food... and when it comes, presented in the form of Angel Hair pasta... oh my! I like this! This summer we canned carrots like nobody's business. We love them. Some I put in quart jars... a bit too big for us to use in one meal. I also froze broccoli. We had the best plants ever. So there are freezer bags and bags of them yet in produce freezer downstairs. Life is so good! We zoomed in late for lunch yesterday, no time to make soup, so I decided to 'clean out' the refrigerator of Saturday night dinner. The meal was wonderful and I knew I had to share! It is also so simple, no addition of herbs, salt or extras. Did you know that The Department of Defense has designated Feb. 21 through Feb. 28, 2010 as Military Saves Week? Saving money... kind of a sore point for me. I would MUCH RATHER take a shopping spree at Target then save a budgeted amount each month for my retirement ... in like 30 years! Egads... don't the 'financial experts' know that I live in the here-and-now?! Well not my husband. He is my saver. Finances might be tight but darn-it-all our monthly budgeted-allotment is going into our IRAs. "You have to pay yourself too", he says. Well I'll pay myself... by buying that cool new household-gizmo that I just need right now. He just shakes his head in utter-dismay. Is there really any hope for his wife?! Almost two years ago we got stimulus-money from the government. My husband was in Iraq and I knew I wanted to plan a big family vacation when he got home. I KNEW he would be thrilled if I said let's save this stimulus money for when we are a family again. And I did! I opened up a CD, put the money in and let it sit for a WHOLE YEAR! Wow that felt good! And you know what felt better?! Disney World in 2009! Knowing we had that money stored away made that trip so much more fun to plan. We weren't worrying about breaking the bank. Why? Because we saved! There is so much less guilt about spending - when you have saved for it. If I make a conscientious decision to buy something --- If I think about it for a few days, or a few weeks depending on the circumstances, I don't question myself and then in that same sense feel dread thinking, "How are we going to pay for this?!" All this money-talk though has me thinking about ways that we can save money, a nickle at a time, even. Do you need that cart? Nothing says "I love you" like a homemade card. So I raise my glass (of milk, of course, I am 4 months-pregnant and we are SAVING for baby number four now too) and toast to Saving, Budgeting and less-stress in Purchasing! The DoD Roundtable had the privilege of interviewing the Coast Guard commandant, Admiral Allen prior to his retirement this year. Admiral Thad W. Allen assumed the duties of the 23rd Commandant of the U.S. Coast Guard on May 25th, 2006. The Coast Guard is the largest component of the Department of Homeland Security (DHS), comprised of about 42,000 men and women on Active Duty, 7,000 civilians, 8,000 Reservists and 34,000 volunteer Auxiliarists and is the fifth military service. I spent several tours in the Air Force combat rescue world and my Coast Guard contacts were always extremely professional and they often accomplished much with few resources. Visits to Coast Guard maintenance facilities at Elizabeth City, NC reflected the organizations pride and mission focus as well! During the Roundtable Admiral Allen discussed the Coast Guards fiscal year 2011 budget including anticipated budget impacts such as the need to recapitalize the service's aging ships, aircraft and shore facilities. He also spoke proudly of the Coast Guard's recent response efforts in Haiti. According to the admiral the Coast Guard will be smaller next year as they downsize manpower to provide additional funding for the recapitulation of their resources. 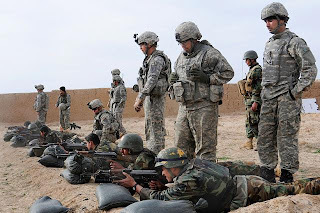 The manpower reduction is about 1,000 active duty and will be partially covered by a much smaller hiring of civilian manpower (339 positions). When queried about the impact of the manpower loss on the national defense mission he provide some great commentary on how the Coast Guard provided some great capabilities but with so many missions to accomplish he had to use risk management to determine which to prosecute. 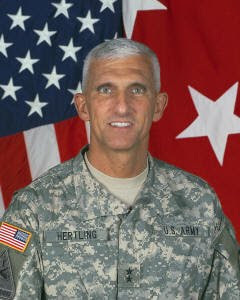 He used the example of moving the anti drug resources in the Caribbean as first responders after the Haiti earthquake. The quake victims became the priority for them and he was quite proud of their response! So are we Admiral! Thank you from a grateful nation! The Coast Guard intends to pursue purchase of national security cutters, patrol boats, utility boats and patrol aircraft. According to the budget the vessels and aircraft being replaced have reached the end of their service life! Specifically, FY 2011 recapitalization funding for NSC #5 with the ultimate goal of replacing the 40 year old fleet of 12 high endurance cutters. The maritime patrol aircraft will replace the 25 year old HU-25 Falcon jet fleet and the Fast Response Cutters will replace the Island Class Patrol Boat. Finally, the Response Boats-Medium will replace the current utility boats. When asked about helicopter resources, the admiral felt that the current fleet of HH-60s and HH65s had been through recent retrofits and that block upgrades such as the new engines for the HH-65s would keep them operational for 10-15 years. When I asked about Coast Guard efforts to support their families, the Admiral spoke with conviction and heart felt feelings. 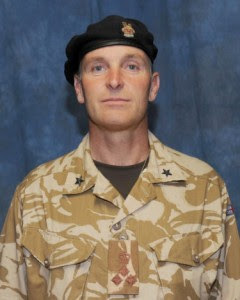 His big point was parity/equity with the other military services. He said sometimes legislation forgets the Coast Guard when determining family funding issues such as child development centers and housing. Having seen some pretty bad Coast Guard housing I think he has a great point! The Guardian families are often located in isolated places with medical facility challenges as well. The admiral said the families often are in an almost deployed situation. The budget does include $14M for new housing which he was happy with and expressed appreciation to the President and First Lady for their support in this matter. He closed with challenges faced by the Coast Guard including defining the Coast Guard’s role in Homeland Security and how to operate in a constrained budget environment. Thank you Admiral Allen for your service! Best Wishes and God Speed! If you would like to listen to the audio of the Roundtable or read a transcript please go to DoDLive! Specific budget information can be found in this online pdf document If you would like to listen to Admiral Allen's State of the Coast Guard speech at the National Press Club here is an audio link. 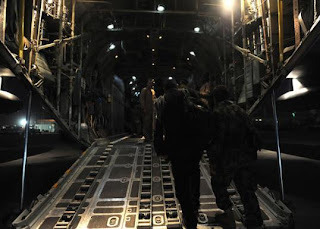 If you would like to read more about the military response to the earthquake in Haiti please go to our Haiti articles on MilitaryAvenue.com which is chronological. To see the US Coast Guard installations on MilitaryAvenue please go to Coast Guard installations. Imagine trying to find a doctor or nurse in a country where 90% of the doctors fled after multiple devastating wars, an insurgency with criminal elements kidnapping physicians for ransom and a medical community that spent 35 years locked in a closet away from the rest of the world’s medical system by the dictatorial government under Saddam Hussein! The Iraq medical community has a long ways to go before recovering to its previous expertise! At one time this country's medicine was the envy of the region! Now they are re-building with American assistance! 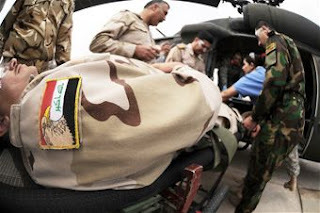 We spoke with Dr. Adel Hanson, linguist/medical advisor, USF-I Health Affairs, Iraq Training and Advisory Mission (ITAM); Col. Bernard DeKoning, ITAM and medical advisor, and Lt. Col. Andrew Kosmowski, CJTF-76 Surgery Cell about the current status of Iraqi medical efforts. The medical system is divided into three parts: the Ministry of Defense (MoD), the Ministry of the Interior (MoI) and Ministry of Health (MoH). These different entities support the military (MoD), the national police (MoI) and civilians (MoH) and we discussed the first two and touched on the third. Prior to 2003 the United Nations sanctions and subsequent criminal activity in the Oil for Food programs the medical supplies and equipment in Iraq were simply not available or very limited. After the US invaded, the military units that held much of the medical capability were broken and most Iraqis had no access to care. The Iraqi Training and Advisory Mission (ITAM) is changing that as they provide training and resources for the Iraqi medical personnel! One aspect with many positive results is the training of a response force in the M inistry of Defense with MI-17 (Hip) helicopters. 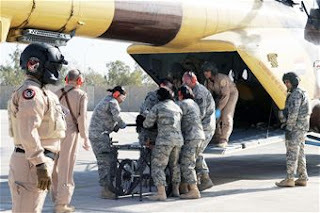 While not a dedicated medevac platform the helicopters are directed to respond with medical teams as needed in a joint US Air Force and US Army training program for helicopter crews and medical teams. They are involved in exercises for mass casualty response and future standby alert crews during potential trouble spots. The MoD has six MI-17s available with four trained crews for this mission and continue to grow crews through joint training efforts with the ITAM Air Force aircrews and flight surgeon team. 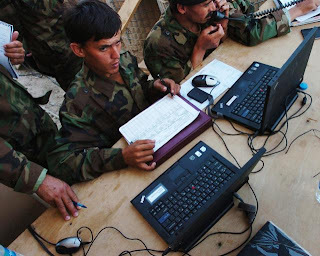 The Army ITAM team is creating capacity and “training the trainer” type of courses are critical to the effort! At Camp Taji, Iraq medics have a schoolhouse for these efforts until a new training center/hospital is constructed in downtown Baghdad. The new facility is intended to be finished in November and will provide connectivity world wide and back to the States for continued training opportunities through social media type of portals! One of the challenges mentioned by the ITAM team was retention of medics in the MoD and MoI due to pay and location issues. The Ministry of Health provides better pay, flexibility and relocation is by choice versus orders in the Defense and Interior programs. This makes it difficult to retain the trained personnel (similar to issues that US medical programs with retention in the past) who after training prefer the MoH route. However, the doctors expressed some great optimism for the future of the Iraqi medical community! In the last 10-11 months they are seeing doctors return to Iraq from Jordan and the United Kingdom! With stability has come a reduction in criminal elements and less fear and the return of these experienced medics is giving a boost to the efforts of the medical community to return to their previous level of expertise. Dr Hanson said that it showed that “the people have not lost faith in the country”. The ITAM team described the Iraqi medical efforts as at a “crossroads” while “well poised” to create a world class system with a great future! Interested in reading more articles on American efforts in Iraq please go the MilitaryAvenue Reading Room! Office of the Assistant Secretary of Defense for Public Affairs, Defense Media Activity for making these Roundtables available! Photo Credit: Maj. Adnan Naji, a senior medical officer and commander of the Taji Location Command Medical Clinic level 2, explains, in Arabic, the technique used by Spc. Christopher Graham, a brigade medic and health specialist with the 96th Sustainment Brigade, 13th Sustainment Command (Expeditionary), and a Pleasant Grove, Utah, native, to apply bandages to a simulated open abdominal wound on Staff Sgt. Michael Carlson, a medic with the 1161st Task Force, 541st Combat Sustainment Support Battalion, 96th Sust. Bde., 13th ESC and a Yakima, Wash., native, Jan. 13 at Camp Taji, Iraq. 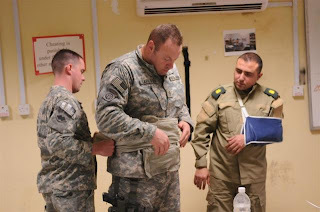 Carlson and Graham are instructors training Iraqi Army medical officers on combat medical procedures at Camp Taji. For Our MilitaryAvenue Partners: Stop by and introduce yourself! "And our final theme in this budget is supporting our troops in the field, providing all the resources they need, including financial resources. And that brings us to what we call the overseas contingency operations, or OCO, portion of the budget, the wartime portion. 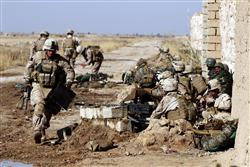 And we have added -- asked, as I mentioned before, $159 billion as we build up in Iraq and draw down -- I'm sorry, we build up in Afghanistan and draw down in Iraq, as well as $33 billion in -- for fiscal year '10 supplemental to pay for the extra troops ordered to Afghanistan." I never agreed with this administration’s change from the “War on Terror” to Overseas Contingency Operations because I think it further separates the military community from the American population. The military is at war and the casualty receiving center at Dover AFB proves this almost every day and I believe most Americans are not in touch with this fact! 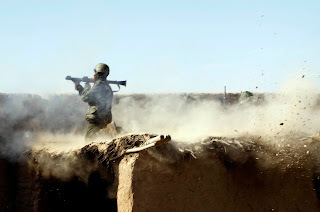 But this is about the budget that supports the Afghanistan buildup, the drawdown in Iraq and supports the President’s decision on Guantanamo detainee operations (which may be particularly difficult to get through Congress due how controversial it is with the American population and specifically the citizens of New York). 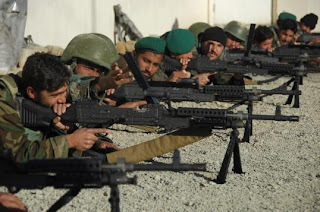 It supports the infrastructure improvements in Afghanistan needed to win the war there and provides training for the Afghan security forces as well! It will also provide funds for the continued training of Iraqi security forces and the peaceful and I might add successful transition in Iraq. Secretary Hale said it will also provide for the equipping of Iraqi and Afghan for ces with new rotary aircraft, additional units, individual equipment and salaries of police and soldiers. The effectiveness of these national assets in both countries is directly tied to their budgets, training, equipment and morale. To be successful they must be adequately funded. These programs are force enablers and provide improved combat capability and protection for the troops at war and in combat daily! As we end this series of blogs on the proposed budget and the roundtable with Secretary Hale, I asked that we keep our forces in combat in mind as we discuss this budget during the next 6 months. As congress attempts to add earmarks (funding in their district or non military budget items), pet projects that have no relationship to the military budget and other controversial measures or actions occur, please be aware of the impact on the morale of the troops and the critical support for them and their families during wartime! Lastly, please pray for the troops and their families as they are in the middle of a large effort in many locations ensuring the security of our country and that is what the military budget is supposed to be about! 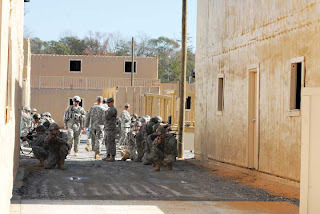 If you would like to keep up to date on budget issues please continue to follow MilitaryAvenue.com and this list of articles on the military budget for 2011! If you would like to read the transcript of this Roundtable or listen to the audio please go to DoDLive!